TRAVERSE CITY, Mich. (AP) — A proposal to run an oil pipeline beneath a crucial section of the Great Lakes cleared its final hurdle Wednesday, gaining approval of a Michigan panel created a week earlier in a dash to complete the deal before Republican Gov. Rick Snyder leaves office. The three-member Mackinac Straits Corridor Authority unanimously backed an agreement between the state and Canadian pipeline company Enbridge to drill a tunnel through bedrock up to 100 feet (30.4 meters) below the more than 4-mile-wide (6.4 kilometer) channel that links Lakes Huron and Michigan. 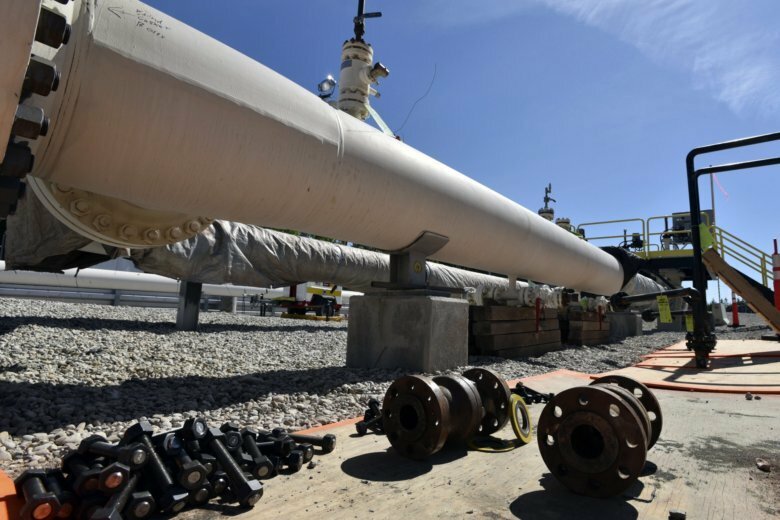 Opponents complained that the existing Line 5 pipes, which carry about 23 million gallons (87 million liters) of petroleum liquids daily, will remain operational until the new segment is running. The pact sets no deadline for switching the oil flow to the new pipe, although Shamla said the target date for finishing the tunnel is 2024.